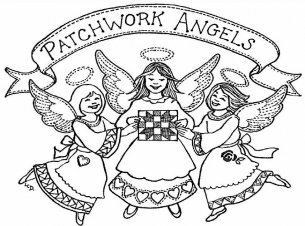 REMINDER: Saturday, January 23, 2016: Local Quilt Shop Day! Reminder: Tomorrow, Saturday, January 23 is Local Quilt Shop Day! Come in for a special treat and 25% off your total merchandise purchase! Thank you for your support in 2015 and we look forward to seeing you often in 2016! We have had a really good response on our Pantie Raid, but more donations will be gladly received through Saturday, January 23. Pick out a fat quarter when you bring your donation in. The folks at the Rise Domestic Violence Shelter will be grateful for whatever new undergarments you can spare! Our class listings have been updated... take a look through and see what might interest you. If nothing does, drop by and make a suggestion. We have several teachers ready to teach almost anything, just need a good suggestion. Saturday, January 23: National Local Quilt Shop Day: Specials and prizes!